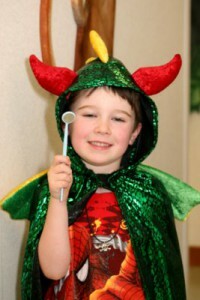 With the right techniques, even very young children can cope with dental treatment. It is important not to develop a negative attitude towards dentistry, and healthcare in general. Every child is different, and treatment is tailored specifically to each child based on temperament, maturity, and extent of treatment need. Sometimes we can fix dental problems without much fuss and without local anesthetic (freezing). Other times kids need more help overcoming their anxiety and a mild sedative is used. In certain cases, treatment while asleep under a general anesthetic is best. We can recommend options and let you decide. All too often children come to us too late, and with severe dental disease and toothaches. These are the most difficult cases to manage because prompt treatment is needed but the child is already very anxious about care because of ongoing dental pain. Is you are concerned about your young child’s teeth and do not want them to have a negative first experience, please see a dentist before they have a toothache. Once something hurts, it is usually very late in the disease process. And nor should she be. The Canadian Academy of Pediatric Dentistry and the American Academy of Pediatric Dentistry recommend that a child establish a Dental Home by 12 months of age, or 6 months after the first teeth erupt. Not every family dentist is comfortable with children that young. However, all our our staff are specifically trained and accustomed to making young children feel comfortable in a dental setting. We will gladly see infants and toddlers for exams and treatment, and give you the information you need to raise healthy cavity-free kids. The number one cause of dental anxiety is a history of tooth pain and stressful dental treatment. If your child is anxious, we can help them cope. Yes, we can do that. It is a fact of life that as we get older, we get wiser and better able to cope with our emotions. Simply put, some children do not have the emotional maturity to cope with serious medical or dental treatment awake. If that is the case, the least traumatic way to address significant and urgent dental problems is dental treatment asleep (under a general anesthetic provided by a medical anesthesiologist – a medical doctor who is a specialist in anesthesia). 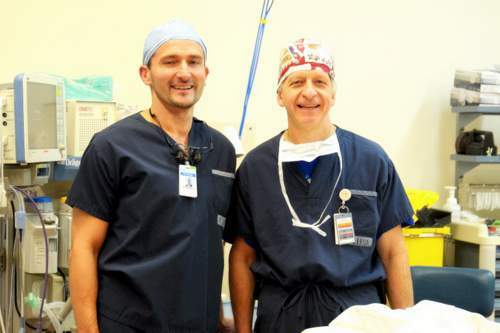 Our office is equipped with a fully accredited surgical suite with a 15 year plus safety record where a board certified medical anesthesiologist from Royal Victoria Hospital will provide general anesthesia, and either Dr. Goralski or Dr. Morley will provide the dental treatment. In this situation, you have a medical specialist for the anesthesia and a dental specialist for the dental treatment. Anesthesia both at our In-Office Surgi Suite or at one of the local hospitals is available through our office. Yes. There are benefits to doing treatment while our young patients sleep. Namely those are that kids are not stressed and potentially traumatized to dental treatment, all treatment is completed in one visit meaning less time lost from work/school, and you get a fresh start right away so that you can focus on preventing further cavities and disease. 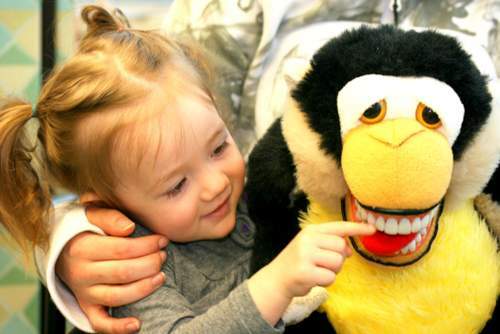 It is something that should be considered for young children that need extensive dental treatment. You can discuss treatment under anesthesia with one of our pediatric dentists.